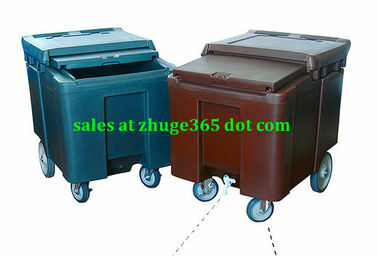 Body and cover made of one-piece rotomoulded polyethylene, food grade, non-toxic, UV resistant, durable, impact resistance. 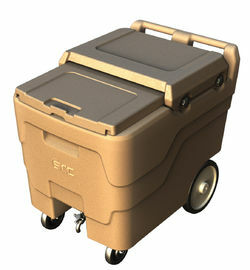 Full of ice can be stored and transported by the cart, and great ice holding effects up to 7 days. Industry-leading structural design, to ensure the body moving smoothly, and the embedded sliding cover makes it easy and comfortable in using. 10-inch rear wheels, 5-inch swivel casters with brakes, to ensure that a comfortable, quiet, non-marking performance. 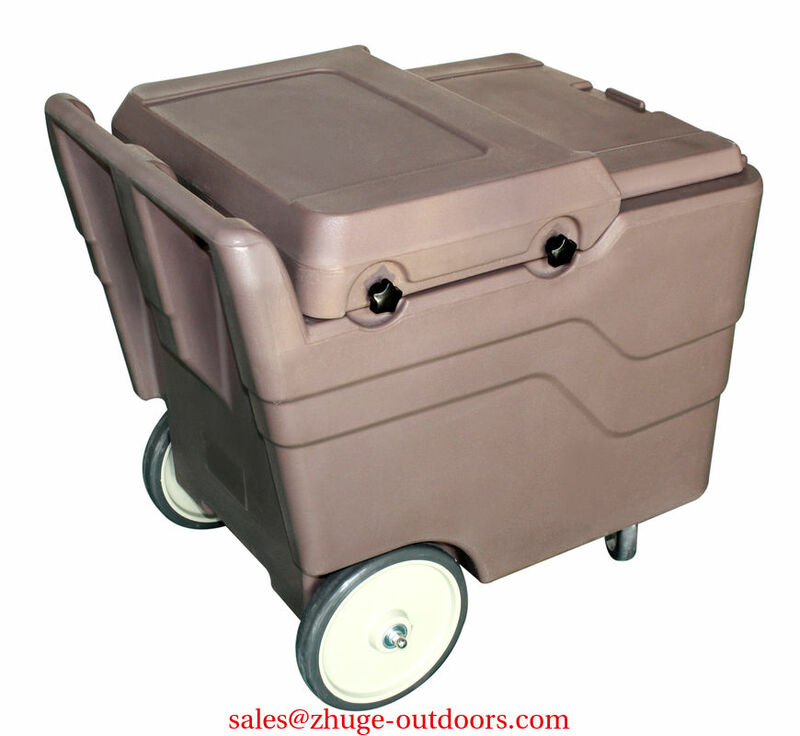 Widely used in hotel, KTV, cafes for ice storage and transport.